The simple fact that Lorca visited Vermont, let alone spent ten days there with a young American friend, went unacknowledged for decades by Professor Ángel del Río and others in the Spanish Department at Columbia University. 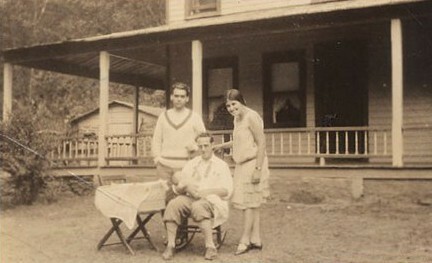 Since Del Río, in particular, was fully aware of Lorca’s trip to Vermont and his friendship with Philip Cummings, it is hard not to view his silence as a deliberate act of concealment. It is possible that Del Río’s failure to reveal what he knew about the Vermont trip was a result of the shock and confusion that prevailed after news of Lorca’s arrest and execution by nationalist forces in Granada in August 1936, at the very beginning of the Spanish Civil War, reached the outside world.2 Lorca’s surviving family members in Spain did all they could to ensure that his papers were secured in a safe place, even as they feared for their own lives. But as the war raged on with no sign of resolution, Del Río and his colleagues at Columbia took on the daunting task of preserving and promoting Lorca’s literary legacy from afar on behalf of his embattled family. This new responsibility would have only heightened Del Río’s instinct to protect his friend from any social disapproval that might compromise his appeal to a wide audience. He was well aware that if any hint of Lorca’s homosexuality became public, it would almost certainly destroy the poet’s personal and literary reputation, and perhaps Del Río’s as well. Since there was no easy way for Del Río and his colleagues to talk about Lorca’s visit to Vermont without naming his host there, whom Del Río must have suspected was also his lover, they chose to say nothing at all. If this omission created any confusion among readers of Lorca’s landmark collection Poeta en Nueva York | Poet in New York when it was first published in 1940, I have found no evidence of it. Apparently no one wondered why the poet included the word “Vermont” in the title of one section, or whether his references to “Lake Eden” were purely allegorical or might instead refer to an actual place. Del Río did include a typed transcription of the handwritten letter Lorca sent to him from Lake Eden, in which the poet referred to Eden Mills and a person named Cummings.4 However, Del Río failed to add a note informing readers that Eden Mills is a place in Vermont or to provide any further details about the mysterious Cummings. To compound the problem, Del Río placed the transcribed letter in the “Obras Inéditas” [Unedited Works] section of his monograph. The irony of this placement did not become apparent until 2013, when a new transcription of the original letter was published by Christopher Maurer and Andrew Anderson.5 The new version revealed that Del Río had deliberately left out two sentences from his transcription, one of which referred to Cummings, in an obvious act of censorship. 1 Federico García Lorca, Selected Letters. Edited and translated by David Gershator (New York: New Directions, 1983), 150. 2 The first report I have been able to find in an American newspaper dates from September 12, 1936, almost a month after Lorca’s death on August 18th: “Consternation was caused here by the news that the well-known poet Federico García Lorca had been killed. Apparently he was assassinated behind the insurgent lines.” See: “Bayonets are used in Sietamo battle,” New York Times, 12 September 1936, 6. 3 Ángel del Río, Federico García Lorca 1899-1936. Vida y obra. Bibliografía. Antología. Obras inéditas. Música popular (New York: Hispanic Institute in the United States, 1941), 19. 4 Ibid, 108. For an English translation of del Río’s transcription, see note 1. 5 Christoper Maurer and Andrew A. Anderson, Federico García Lorca en Nueva York y La Habana: Cartas y recuerdos (Barcelona: Galaxia Gutenberg, 2013), 49-50.